This event is bigger and better at its new location at the Palouse Empire Fairgrounds, 322 Fairgrounds Road, Colfax WA 99111. We have two buildings full of antiques, vintage items, artisans, plants, specialty foods and so much more. We will also have a display of vintage camping trailers for you to enjoy. This event is being held Friday, April 12 from 9am-7pm and Saturday, April 13 9am-3pm . The cost to enter is $5.00 and good for both days. 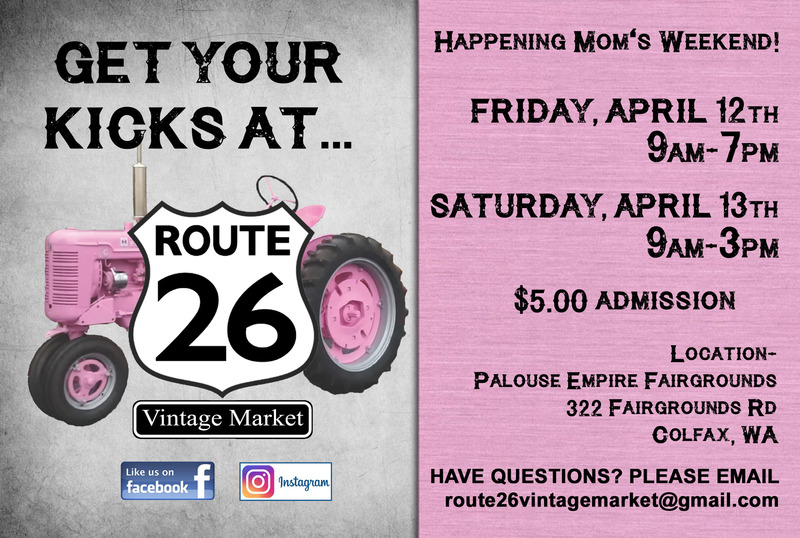 If you have questions you can email is at route26vintagemarket@gmail.com.